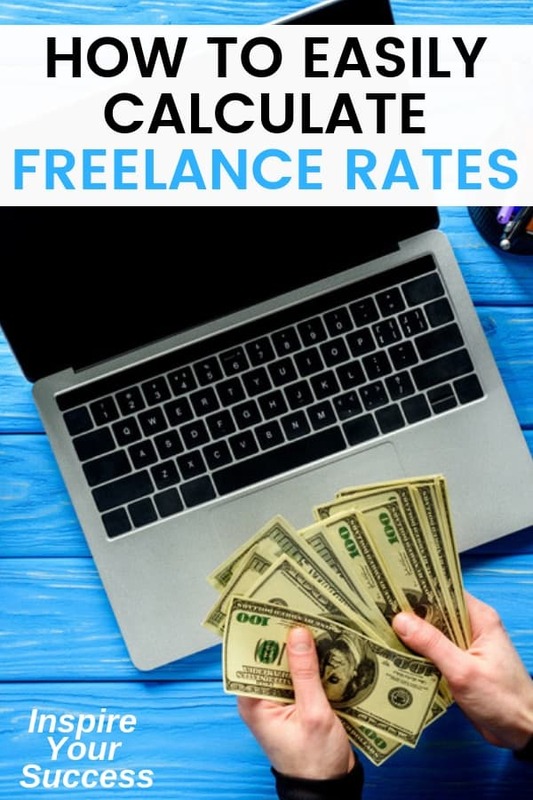 Have you wondered how much you should charge for your freelance writing rates in 2019? Freelance writing is an interesting business. When I left the corporate world in 2017 to build an online business and hone my skills as a freelance writer, I had no idea what to expect. Now that I’ve been at it for a while, I’ve found it’s quite common for clients to think it’s perfectly okay to not email you for months until they need something. Then when they do and you don’t respond with lightning speed it’s your fault. And then there’s the money part of it. When I first got started I had no clue what I should charge. Let’s face it, rates are all over the place. When I first started writing, I took whatever I could get. I didn’t have the luxury of deciding what my rate would be. To this day I still remember my first paid gig, it was the coolest $30 I had ever made. Someone had paid me to write about golf (which I’m super passionate about). I couldn’t believe someone paid me to write about golf. While I drastically undercharged, it gave me a boost of confidence. As your freelance career progresses, though, you learn to value yourself a little more as your experience and skills grow. 1. Do freelance writers get paid? 2. How much to charge for a 500 word article? 3. Should I really do custom packages? 4. Should I post my rates online? 5. Which rate model do you, personally, use? First, you need to establish a freelance writing rate. If you work at a 9 to 5, you have an hourly rate, don’t you? Whether it’s per hour or salary, you have some way to value your work and your time. You need that same kind of stability as a freelancer. This is one of the biggest mistakes as a freelance writer that I made in the beginning. When you’re just starting out, you might have to work for less to get started. That’s part of the process if you don’t have any experience as a freelance writer. But don’t accept that rate forever. How much do you usually get paid for your work, on average? Take your past five or ten posts and literally average out your pay for each. From there, I usually err on the side of earning more, depending on my workload. For example, let’s say my average freelance writing rates per word rate is .20 cents each and I’m so booked that I have to turn down clients. I might decide my freelance writing rate is .30 cents per word, closer to my regular, higher-paying client. If work isn’t as good, I’ll usually maintain the average. If you want to become an expert freelance writer, you have to work your way and learn your way to the top! Wouldn’t it be cool to get paid .50 cents or even $1 per word? Some experienced writers can demand those type of rates but it’s few and far between. But if the posts are 300 words it’s not going to be quite as exciting. You should have a minimum in mind for your clients. Maybe you don’t work for less than $200 a post or $500 per project. Whatever it is, keep it in mind when you’re hashing out a number. This amount, like your freelance writing rates, will change as well. This is bound to happen as it’s happened to me and I’m sure it will continue to happen at some level. Whatever rates you establish, there will probably come a time where you ask yourself if you should take on a client who pays below your minimum. Maybe you really want the backlink or byline. Maybe you just need the extra cash and your other work is drying up. Or maybe you’re just getting started and want to build some momentum. Flexibility and resourcefulness are crucial if you want to earn a high income as a writer. Sometimes that means bending your own rules to get what you want. Will it look good on my byline? The bigger and more platforms you’ve been published on, the more clout you have as a writer. The more clout means more money you can charge by future clients. Bylines give you credibility and help establish your authority as a writer. Don’t get me wrong, with both this question and the one above, there are limits. And a lot of big publications don’t even pay you! While the sites and models are always changing, don’t be shocked if you get an offer in the future with little or no pay at all. But even one article on Forbes, Fortune or Business Insider can make a huge difference in your writing career. How low is the rate, exactly? I remember Lifehack inquired about me writing for them. At the time I knew absolutely nothing about the site or how this entire freelance writing process worked. So I said yes…even when they said it was an “unpaid” gig. It took forever. It was a 3,000-word post with a ton of requirements. In fact, looking back I’ve never had more requirements in my entire writing career. And I did all this for free! One article wasn’t awful (as I had little to do at the time), they wanted me to keep writing on a regular basis. If you’re a striving writer, this isn’t the way to go! What do they pay other writers? Negotiating is a must if you want to increase your earning potential in the long run. Luckily you can use, WhoPaysWriters.com to help you research how much the client is willing to pay writers. This research can help you negotiate a rate that’s at least closer to your standard even if it is a slight pay cut. Will you learn something new or work with someone you admire? Finally, what other skills or benefits will you get from this? I’ve taken on lower-paying gigs just because the topic was interesting and I wanted to learn more about it. I’ve taken on several golf writing gigs because I love golf and it doesn’t feel like work. Granted, I wouldn’t do this work for free, and these clients still paid good, but what pushed me to give in was knowing I’d have fun writing the topic! And you never know, you can always ask for a raise in the future. Again, there is not really an established set of rules for being successful in the freelance writing business. You learn to be flexible, resourceful, and then do what works best for you. I’m sure you’re still thinking…how much should you charge for freelance writing as a beginner? There’s no one clear-cut method when it comes to creating your freelance writing rates. There are several ways to get started. The first way to establish your freelance writing rates is charging by the hour. Personally, I hate this method. I got out of a 9-5 to never think about my time as hourly or not. When I worked in the corporate world I never understood why I got paid the same amount as someone who took more time to do the same work I did. The same goes for my writing, I’ve had clients do an hourly rate and I hated it. The main problem with hourly rates is that you make less and less money as you grow more efficient and start writing assignments faster. And trust me, you will get 100x better and faster over time. What used to take me hours now takes a fraction of the time. With hourly writing rates, you get penalized for being more skilled and completing jobs twice as fast as inexperienced writers. Another big (and fair) argument against hourly rates is that they limit your income potential by tying your income to your time. This makes it hard to step away from your computer but also a hard way to stay sane! Lastly, time spent on a project is a poor measure of the value of your output. For example, imagine you charge $100/hour and it takes you three hours to write a sales piece, for a total of $300. That sales piece goes on to generate $30,000 in sales for your client. The $300 price tag, in that case, is far too low and not reflective of the value your work delivered. On the flipside, hourly rates are an okay option if the project isn’t clear from the start. And trust me, clients aren’t always sure what they want from the start. Your client will normally want some sort of figure so they can make sure they aren’t writing a blank check. Freelance Tip: Don’t make the mistake of basing your hourly rate on your past salary as an in-house employee. In my case, I was making over six figures in my career but had zero formal writing experience so that just wouldn’t work. On the other hand, you’ll become a starving writer if you’re not careful with pricing. Remember, as a freelancer you are responsible for your own insurance (if full-time) and taxes, therefore, you’ll need to charge more as well. Charing per word is also a very popular business model for content writing. It’s most common in journalism or creative writing side, but not always in business writing. If you’re a content writer who will produce X number of blog posts per week or per month this is common. I actually prefer this method over per hour as I don’t have to document my time. The better and more in demand you become as a writer, the more you can raise your rates. Another huge mistake I made when I started freelance writing was taking the same low price after I wasn’t a beginner anymore. I had a scarcity mentality that I wasn’t good enough to warrant more. But let me tell you, that’s BS. If you’re a hard-working, talented writer who works well with editors you can make great money. I finally learned this from my mentor (and #1 writer on Medium), Benjamin Hardy. He recommends me pitching new clients and asking for double my normal rate. While it made me uncomfortable, I got past limiting beliefs and did it. And guess what? I landed my biggest client at the time. As he said, there is no downside. Once I got the new, high-paying job I started to level up my writing, believe I was a better writer, and attract higher end clients. I teach an entire lesson about this my freelance writing course. With a flat or fixed fee approach, clients pay for the work you deliver, not how long it takes you to complete it. I’m also a big fan of this type of freelance writing rate as you’re not paid on time but instead performance and meeting deadlines. Whether you get it done in 1 or 10 hours, the project price (and its value to the client) remain the same. This model enables you to charge premium pricing because it changes the conversation from hours to value. Value-based pricing does require a deeper conversation with a prospect upfront so you can discern the project’s value to his or her business and frame your conversation around that. The extra effort enables higher rates. Another great option is a monthly retainer. It’s one of my favorite models as you are able to predict income and plan your schedule in advance. Retainer agreements commit you and a client to recurring work, typically at X dollars for X deliverables or hours per month. Plus, it’s a win-win relationship between you and the client. It’s a win for clients because they have a trusted writer who knows their business, messaging and audience well. Like hiring new employees in the corporate world, hiring new freelancers is a pain for most companies. They have to train, learn communication styles, editing, etc. And that relationship and familiarity enable faster project turnaround and higher-quality writing, for less than they’d spend hiring out individual projects. It’s a win for you because you have a guaranteed income and steady workload for several months, or at least for the foreseeable future. I’d recommend suggesting a retainer agreement as a savings opportunity for the client when you sense he/she has a recurring need for content. Repeat customers are great candidates for this model. Got more to offer than just writing skills? Maybe you know Pinterest, SEO or Facebook ads. You decide up front what the gig will entail — its scope, processes, and output. You then package those elements into a product, give it a name, a price, and you’ve got a productized service. This is a great way to scale your income and make way more money than just writing a ton! Another model I haven’t tried yet is a tiered pricing model. The reason I haven’t tried it is because I’m working on scaling my blog and podcast so I only have so much time for freelance writing. 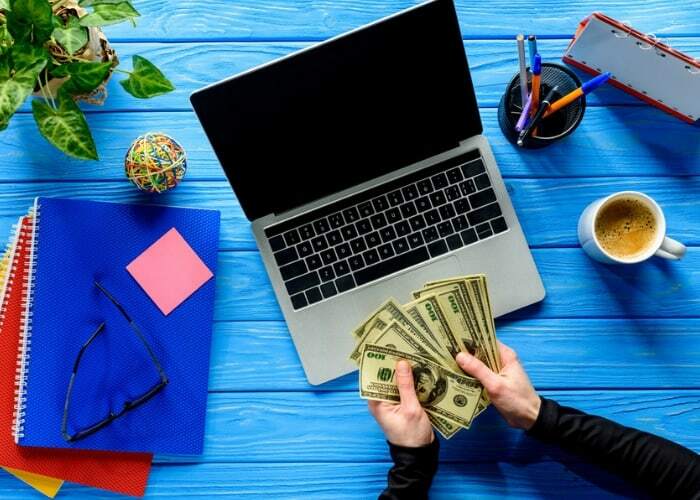 But tiered rates are a simple but powerful way to boost your income and sales conversions without much effort on your part. I recommend naming them Basic, Standard, and Premium on your freelance writing website. Each relates to a different service level and deliverables. Premium: This is a high-end rate that usually includes everything from the bottom two and additional revisions. The basic option might require the client to do some of the work up front. You can limit research and number of revisions. The premium option might include moderate to deep keyword research, in person or phone interviews and extras. Human nature for most people is to avoid the super cheap one and most expensive one. Sometimes you’ll meet a prospect who wants everything and won’t worry about money as much as other. Give tiered rates a try next time someone asks what are your freelance writing rates. You’ll be shocked by how many prospects choose a more expensive option when you make it available. This one isn’t as common as the other six and more often found in Europe. Similar to hourly pricing, day rates cover all work completed within a day. This is more often found in consulting than it is with freelance writing. One plus is that daily rates do offer more flexibility than the hourly model since you don’t have to track every hour. Beyond that, the same rationale discussed above for hourly rates apply here as well. For some reason, people still don’t believe that people get paid to write words online. Even though I’ve been doing this for years people act surprised when I tell them freelance writing is one of my main streams of income. Yes, freelance writers get paid! In the beginning, you might have to take a lower rate while you’re building yourself up but it won’t last forever. I get it, you still need a ballpark idea of how much you share for freelance writing rates. With so many variables at play — your niche, skill level, experience, market, types of clients, types of projects, and so on — it isn’t feasible for me or any fancy calculator to give you rates that would apply to everyone or every scenario. The lower your rates, the more you’ll deal with prospects trying to haggle. They’ll likely be high-maintenance too because low rates attract cheap buyers who don’t value your time or services. How much should you charge for a 1,000 word article? You can opt to double it or charge more for the 500 and make it a slight discount for 1,000 words. It’s helpful to network and research the websites of writers who are doing what you want to do in terms of niches, specialties, and markets. Many writers post their rates online or share their rates when asked, but not all of them. You’ll find a ton of inconsistencies overall so it comes down to a lot of trial and error. I’ve always found that if you charge more and they bite, you’ll perform more as it’s a huge mindset shift. Also, here’s a freelance writing rates calculator as well. Sorry for screaming but I wish I would’ve done this so much sooner. While it’s more work for upfront to create the packages, it’s so worth. Because you’re going to get frustrated if you’re doing two projects in the same niche for the same rate and one requires way more work. If you have to do images, SEO research, linking, and social media promotion that’s a ton of additional work on your end! This is a great question and one I struggled with at the beginning. Here’s what I would do, instead of posting your exact rate, give price ranges for your custom packages. No two freelance writing jobs are going to be the same. Some are going to take a lot of work while others are going to be easy. Some clients are going to approve everything and some are going to have a lot of requests. A benefit of doing so is that a price range doesn’t lock you into a single number, and it automatically disqualifies prospects who want something cheap and can’t afford you. You want to have enough information on your freelance writing portfolio to educate your client but not too much to where they don’t need to contact you as well. I use a mix of a retainer, per word, tiered and flat rates. Today, most of my income comes from recurring retainer & per word clients. Again, these are my preferences but make sure you find what works best for you. You may decide a different model works best for you. Finally, choose one or two ideas I’ve covered above and try them out. Don’t be afraid to experiment, and don’t wait to have it all figured out before you move forward. So, how much should you charge for freelance writing? Research writers in your niche or area. Join an online group, meet them for coffee or shoot them an email. People want to help people if they have the courage to just ask! I’m sure you’ll find most writers are generous with their expertise and more than willing to help. 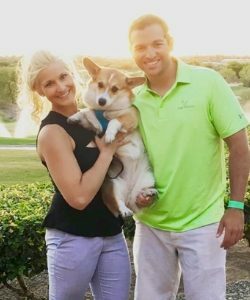 It was a huge struggle for me getting started so I want to help as many other aspiring side hustlers and writers as possible. That’s why I created my freelance writing course to help you avoid the pitfalls and mistakes that I made along the lonely journey! 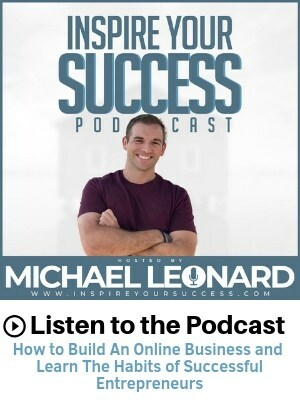 I’ve found the best hacks and secrets to start making money quickly, enjoy the process, meet people, and create a new income stream in your life. And you never know, if things go well it could be your full-time gig.